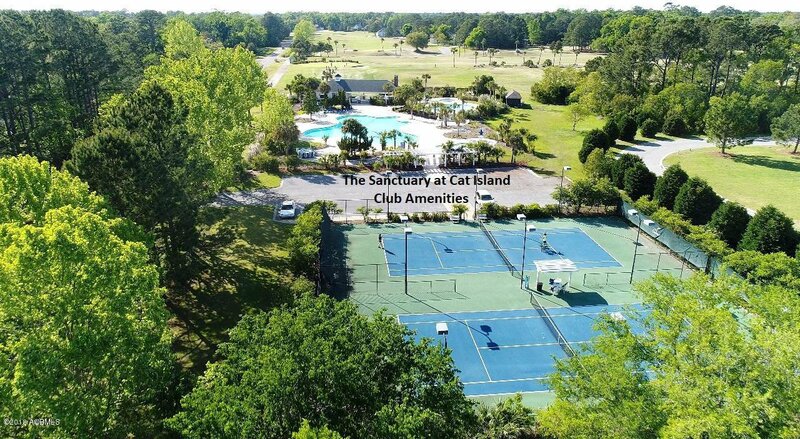 Welcome to your spectacular 5BR, 3.5BA open floor plan home on Cat Island. Master suite on 1st floor w/spacious walk-in closet, tiled shower, large tub and separate vanities. Modern open kitchen flows into the living room featuring a gas fireplace and surround sound system for your enjoyment. French doors lead out from the living into an adorable Trex screened porch with a separate area for your grill just outside. This custom built home with coffered vaulted ceilings radiates quality craftsmanship, construction, and high-end appointments. The gourmet kitchen includes a Bosch stainless steel dishwasher, Viking stainless steel refrigerator, Marvel wine cooler, granite countertops, and tile backsplash. Don't miss the Southern Charm that adorns this Lowcountry home.